The Negrelli Viaduct is a unique technical and cultural monument joining Vltava banks. 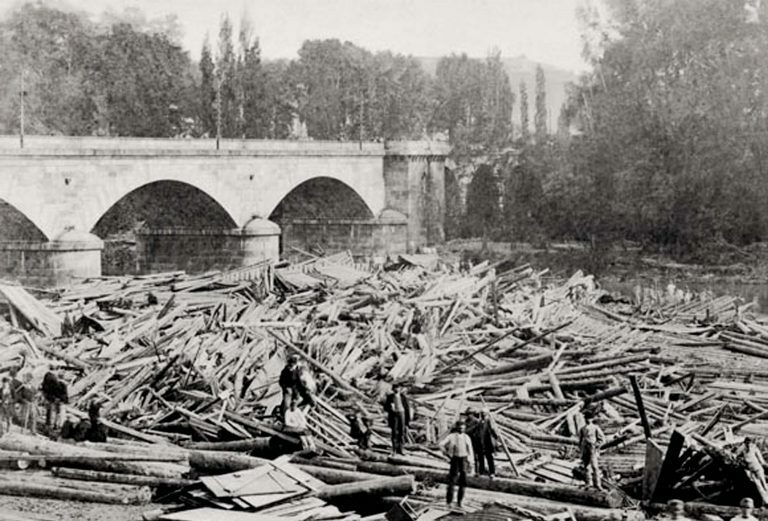 Until 1910 it was even the longest bridge in Central Europe. 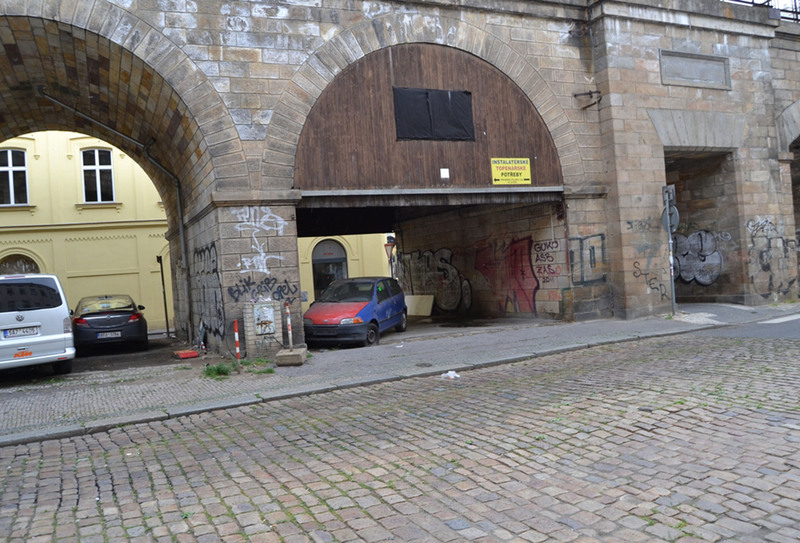 It was built in 1850 as a part of the main railway connection Vienna – Prague – Dresden. 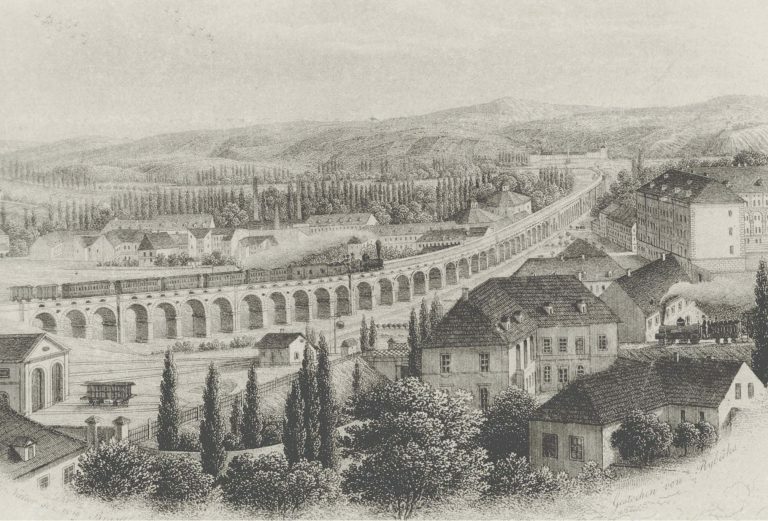 The viaduct between Karlín and Holešovice overlaps the distance of 1.100 m and has 99 arches. 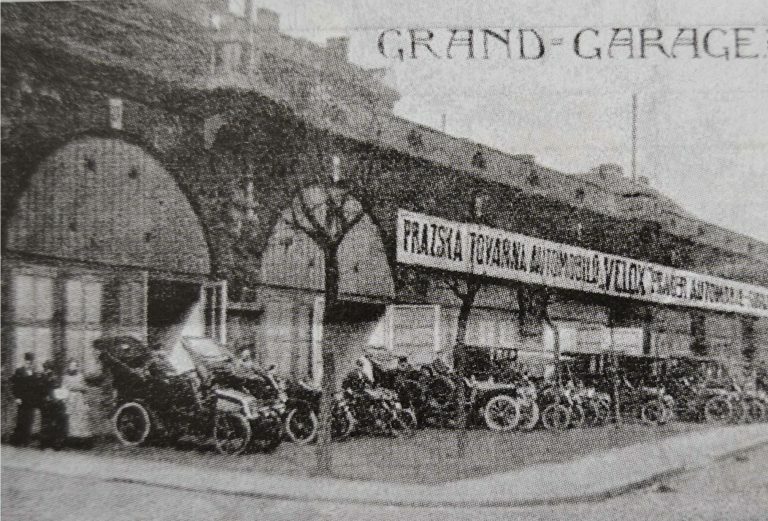 At the beginning of 20th century there were a few small workshops in these arches, among them also famous Prague company Velox, which used the arches as “Grand Garage” for 50 cars and 100 motorcycles. At that time these were exclusive garages and the largest ones in Austro-Hungarian Empire. Even one of the first aeroplanes was constructed here by Velox. 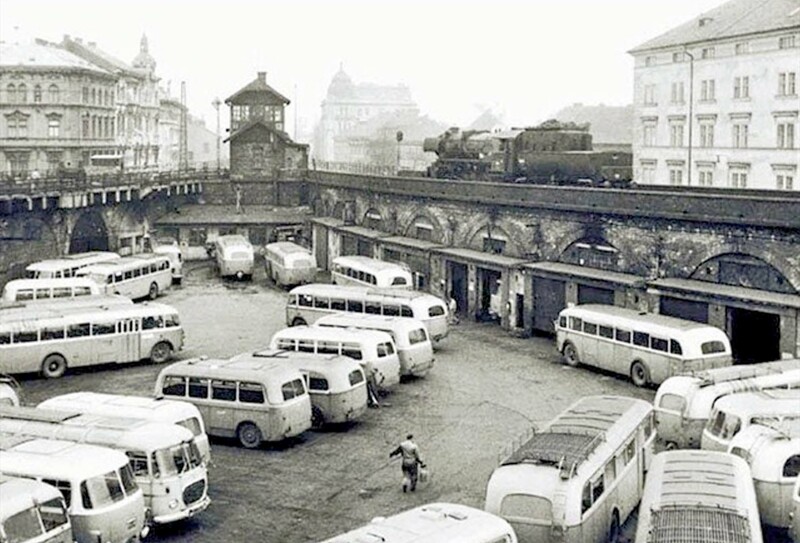 After WWII the central bus station of Prague found its place in the triangle part between railroads of the viaduct. Since 1950s the spaces under and around the arches started to be seen as residual and were used mostly as storages or parking for decommissioned vehicles. 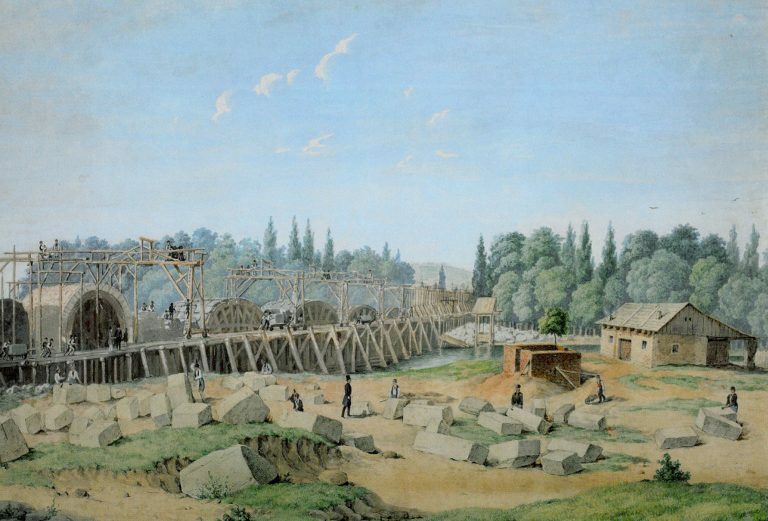 Only after 100 years since putting in operation, the brilliance of the engineering work of Alois Negrelli and his colleagues emerged: The bridge is now being used for much heavier trains than Negrelli could have imagined at his time. Also only the viaduct and Charles Bridge were fully functioning during the large flood in 2002. Negrelli planned the viaduct with such a reserve that even the biggest flooding of Prague’s history couldn’t compete. Reconstruction of the viaduct should begin in summer of 2017.